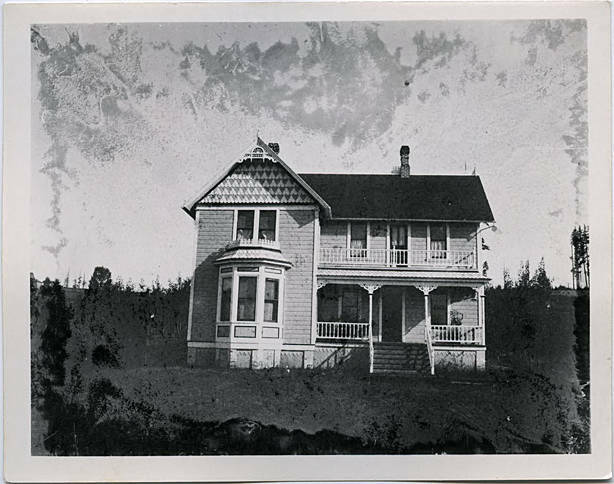 Black and white image of a Queen Anne style, two- story, cross-gabled house. A covered porch runs in front of one section, providing a balcony for the second story above. A bay window juts from the center of the other facade, and a decorative patterns adorns the house below the scrollwork on the eaves. 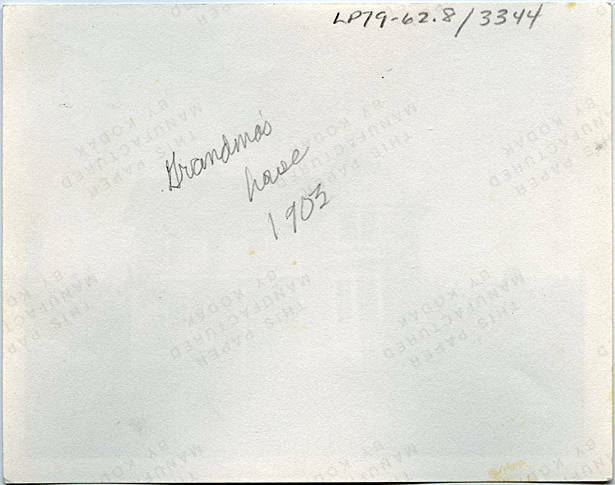 The house sits up on a foundation, on a hill, with what appears to be woods covering the hills behind it.